I have put off doing this gear review for some time – now that I have tried this product, I’m not really sure why. It has taken me some time to get into Sheewee thinking mode. Considering Sheewee first came on to the market 2003, it taken a very long time. But before I share my view, I need to describe what a Sheewee is, at least for those like me who have been living under a rock for 15 years! 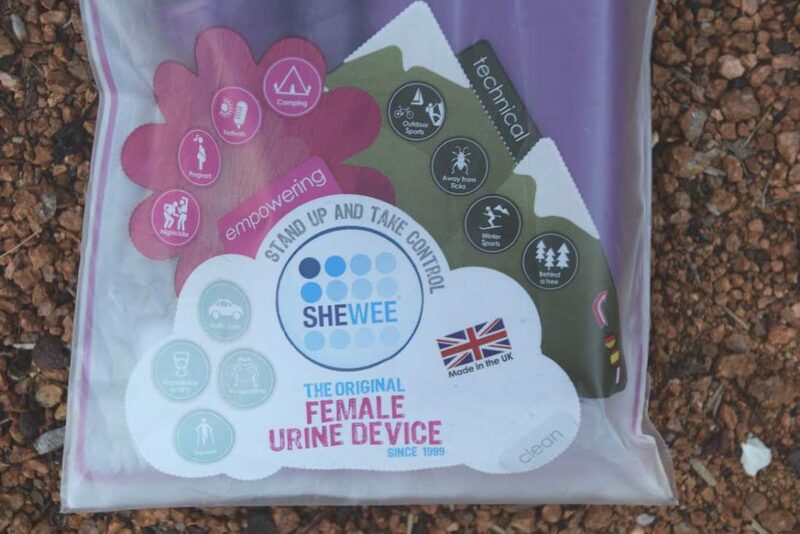 So in short, a Sheewee is the original urinating device that allows women and girls to urinate standing or sitting and without removing any clothes. Oh yes, this is the ultimate female empowerment option – you CAN pee standing up and fully clothed! And I can already hear the chuckles from the blokes and the gasps from a few women. The story goes like this….. we all know public toilets are gross…. and I can still hear my mother telling me to squat instead of sitting down. So Sheewee came up with a better option – don’t drop your pants – just stand! The Sheewee does work. 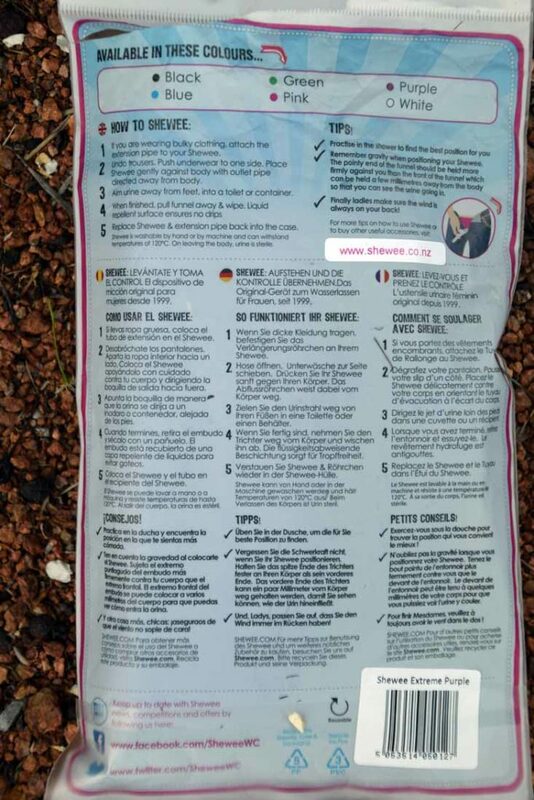 I won’t go into too much detail here but I will say, trust the instructions on the packaging and you won’t have any problems. 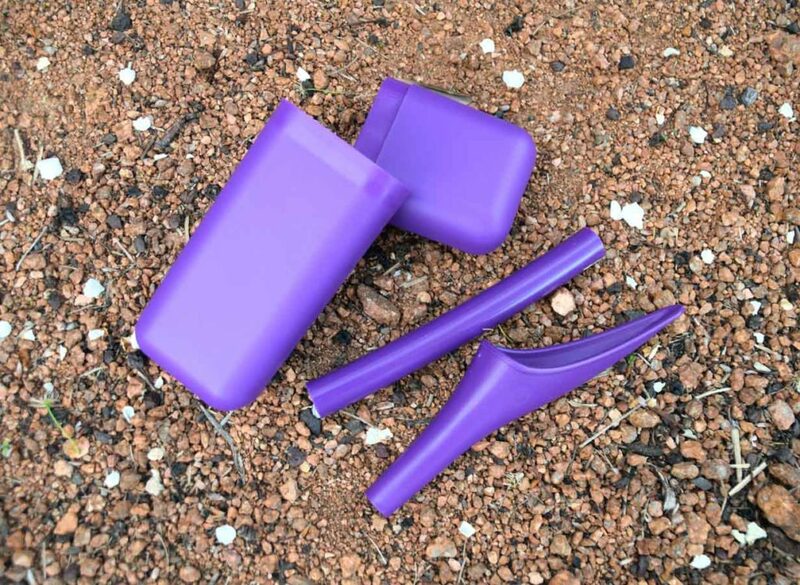 I tested the Shewee Extreme which includes a Shewee, 15cm extension pipe and water-case; all in purple of course! The case is about the size of a sunglass case and the Sheewee and extension pipe sit neatly inside. The manufacturer suggests practicing in the shower and I agree – it does take a bit of practice first up. The other thing I would say is just trust it works – I spent a long time looking at the bits and trying to be all scientific about shapes and angles before I gave it a go – have faith, it works. The extension pipe is an extra length pipe that fits easily to your Shewee funnel for use if you’re wearing bulky clothing. For those wanting to travel light, leave the case at home. Sheewee is great for any occasion you need to ‘go’ on the go whether you’re travelling, at festivals or hiking and camping or enjoying any other outdoor activity. Since trying the Sheewee I have been amazed how many women I have come across that have tried it or know about Sheewee – particularly younger women. And they are very positive, so why my initial hesitation? You know, I think I have been influenced by males who scoffed and/or made fun of women wanting to stand to pee. It says more about them than me but I am a wee bit disappointed in myself! I definitely recommend the Sheewee for all women and girls who are away from home and need a hygienic, discreet and convenient peeing option. I do recommend you practice in the shower first! Once you know how to recognise a Sheewee storage case, the secret is out! You can purchase the Sheewee in Australia from Wild Earth or from Wildfire Sports. Please note our affiliations don’t influence the independence of our reviews If we don’t like something, you’ll be the first to know.